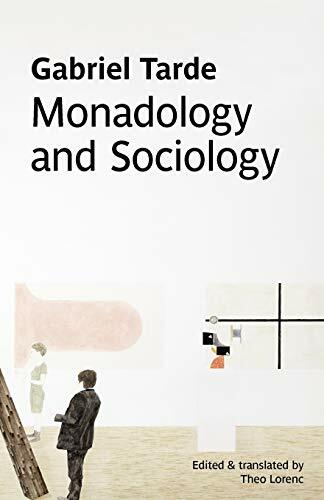 Gabriel Tarde's Monadology and Sociology, originally published in 1893, is a remarkable and unclassifiable book. It sets out a theory of 'universal sociology', which aims to explicate the essentially social nature of all phenomena, including the behaviour of atoms, stars, chemical substances and living beings. He argues that all of nature consists of elements animated by belief and desire, which form social aggregates analogous to those of human societies and institutions. In developing this central insight, Tarde outlines a metaphysical system which builds on both classical rationalist philosophy and the latest scientific theories of the time, in a speculative synthesis of extraordinary range and power. Tarde's work has only recently returned to prominence after a long eclipse. His work was an important influence on later theorists including Deleuze and Latour, and has been widely discussed in the social sciences, but has rarely been a focus of philosophical interest. The translator's afterword provides an explication of the key ideas in the text and situates Tarde's theory within the context of the philosophical tradition, arguing for the importance of the text as a highly original work of systematic ontology, and for its importance for contemporary theoretical debates.